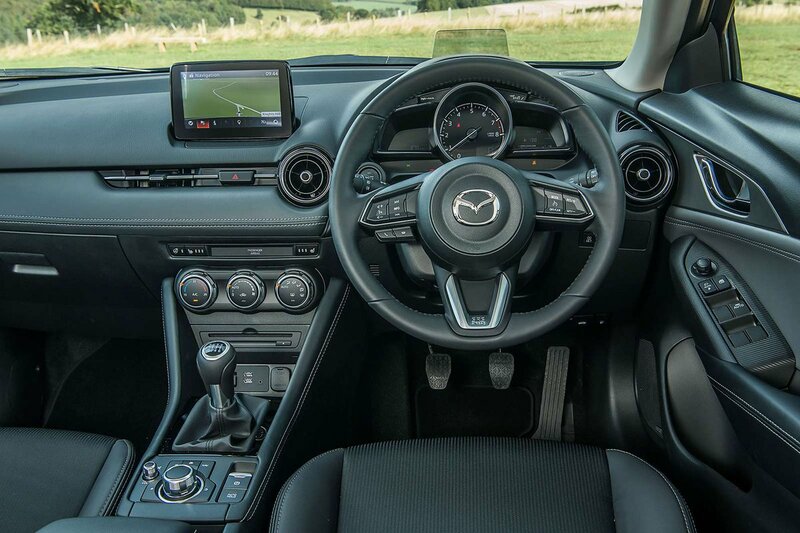 Mazda CX-3 Interior, Sat Nav, Dashboard | What Car? It’s relatively easy to find a decent driving position in the CX-3, thanks to a wide range of seat and steering wheel adjustments. However, lower models collect a black mark here – its manually adjustable driver’s seat has a backrest adjustment lever that offers an annoyingly limited number of positions. 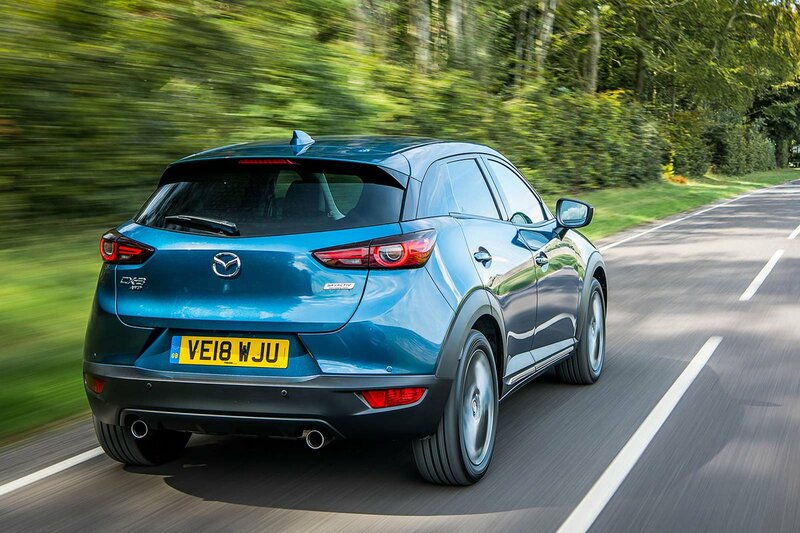 Higher-spec models with fully electrically adjustable seats remove that blight, and all CX-3 seats prove comfortable over long-distance motorway runs. They could do with more side bolstering to better hold you in place when tackling snaky country roads. Stress-free driving is helped by controls that are placed within easy reach, clearly labelled and therefore simple to understand. In particular, the big rotary heating and ventilation controls are quick and easy to use while you're driving, unlike the fiddly touchscreen icons found in the C3 Aircross. The view out the front of the CX-3 is compromised a little by its relatively thick windscreen pillars. Rear visibility is worse, though; small side and rear windows make it difficult to spot hazards hovering around your flanks. Fortunately, the large door mirrors help cover some of the blindspots, and you can add blindspot monitoring with the optional Safety Pack to the top-level Sport Nav+ trim. Sport Nav+ also gets LED headlights as standard. If you order the same options pack that brings the blindspot monitoring, you also get an upgrade to adaptive LED headlights. These can shape the light they emit to avoid dazzling oncoming traffic, enabling you to use full beam more often. From mid-spec SE-L Nav+ trim, you get rear parking sensors to help with reversing, but you’ll have to opt for the expensive Sport Nav+ model if you want a rear-view camera. The CX-3’s standard infotainment system is neatly presented and pretty slick in operation. The 7.0in screen is sited high on the dashboard and can be controlled by touch or via a handy rotary dial and shortcut buttons mounted down by the gearlever. 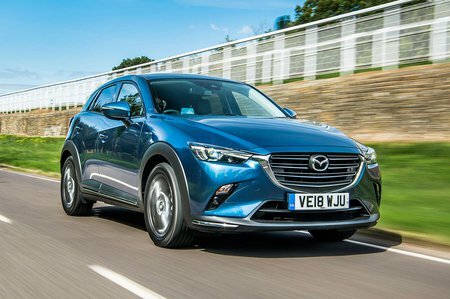 The latter method is far less distracting on the road and definitely preferable to the touchscreen-only systems found in most of the CX-3’s rivals. It’s generally easy to find your way around the system's menus, although the processing could be snappier at times. It comes loaded with features, too, including sat-nav, Bluetooth, DAB radio and Apple CarPlay and Android Auto smartphone mirroring. Plus, you can access cloud-based apps that offer services including internet radio or even Twitter and Facebook – when you’re stationary, of course. To stay in touch while on the move, the car can read your phone's incoming text messages aloud. The standard six-speaker stereo is nothing to write home about, but Sport Nav+ models are fitted with a punchier, more detailed seven-speaker Bose system. The CX-3’s interior looks smartly designed. Although it can feel a little lacking in robustness (the door trims flex outwards slightly as you close a window, for example), it does at least look swisher than much of the competition – the VW T-Cross and Seat Arona come to mind, with their hard, unyielding dashboards. Sure, the CX-3 uses a few low-rent plastics as well, but these are generally found in out-of-the-way locations with plusher trims and highlights elsewhere. The leather gearlever and steering wheel feel good, as do the Alcantara suede on the doors and dashboard of the higher-grade trims.